Former Hornets boss Sean Dyche goes back to Watford admitting the club has changed beyond belief since leaving Vicarage Road in 2012. But, despite the change in the club’s model, and a vast churn in the playing staff, some things stay the same, with Dyche looking forward to seeing familiar faces in Adrian Mariappa and Troy Deeney. Dyche played for Watford between 2002-05, playing alongside Mariappa, before returning in 2007 as Under 18s coach. He moved up to assistant manager and then boss in 2011, helping develop Deeney into one of the most feared strikers in the Championship. He led the Hornets to 11th place - their best finish in four years - but left after the Pozzo family takeover, and the rest is history. The decision ultimately benefited Burnley, but Watford have also gone from strength to strength, despite a regular turnover of managers. Asked if Watford were geared for the Premier League while he was there, Dyche said: “I don't think I sensed all of that, because that is crystal ball stuff. “They had made it work at other clubs for quite a long period, they had a couple of situations that had been a big challenge and hadn't quite worked but generally, particularly Udinese of course. “When I looked then they had something like 11 goalkeepers, 24 defenders, 22 midfield players, nine centre forwards and then another seven players who didn't have squad numbers. “I thought that was an interesting start point. “They had a history of loads of managers and kept shaking the shaker and see which are the golden nuggets stay in there and just move the others on and they seem to just do that. Watford have had nine coaches since Dyche’s departure, with him enjoying over six years at Turf Moor. 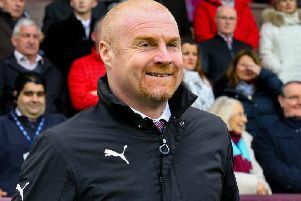 Both clubs have shown their way of operating can have success, and Dyche notes: “I don't think there are right or wrongs, fans will have their view, media will have their view and owners will have their view as well. “At the end of the day everybody wants some form of success. That is what fans wants so most Watford fans will go with it. “The club is a a radical shift from when I was there, absolutely chalk and cheese, from a community club built on the community to now built on a model, so complete shift but it has worked so I don't think that there can be any other debate point than to win or be successful in whatever form that success is. Dyche remains respected among Hornets fans, but the club isn’t overly familiar to him nowadays: “There are a few faces who were really junior then but have shifted slightly but hardly anyone I know. “It has been six and a half years now and in football that is a long time, in some businesses that wouldn't be deemed that big a shift, but in football that is a long time. “There’s Troy, Mapps, I played with Aidy believe it or not when he was a very young lad. He was a top pro, both of them, for decent reasons. Troy has developed into one and Mapps just was as a kid, you just knew it. “Craig Cathcart we brought in as a lon player when I was an assistant manager. Tom Cleverly as well came in as a loan player, some I know from that respect but there is only Aidy who I played with and Troy who was there when I was assistant manager. Deeney arrived in 2010 from Walsall and has emerged as a Watford talisman, with 117 goals in 352 appearances: “He has built an underlying arrogance but in a good way. It is a belief system if you like. “You need a bit of that armour, I think when he was first at Watford it was a big move for him at that time and I don't think he was quite ready for it. I think he knows that now. “After a year he started beginning to get to grips with it and take a more open view of himself and the team and then he just started maturing and by the time I was manager here he was beginning to show signs of flourishing. “Almost by every three month period his shoulders were coming back and he was getting more and more confident.